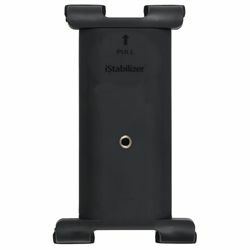 The iStabilizer tabMount is a must for professional and amateur filmmakers and photographers. It's designed to fit tablets of any size with an ultra-secure grip. It works with cases, bumpers, and all sorts of add on accessories like those from Olloclip and Kogeto. The 1/4-20" universal tripod threading makes it compatible with virtually any tripod, monopod and other standard camera equipment.